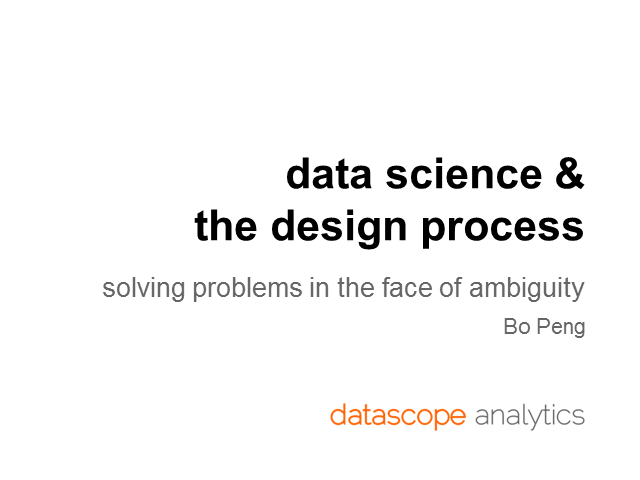 When solving problems, data scientists often encounter added layers of complexity when the problems to be solved are not well defined, and their solutions unclear. In these cases, standard, more straightforward approaches fall short, as they are not amenable to vague problems, and are thus not guaranteed to reliably produce useful results. At Datascope Analytics, we adopt methodologies from the design community and use a "continuous feedback loop" to iteratively improve dashboards, algorithms, and data sources to ensure that the resulting tool will be useful and well received. During this talk, I will illustrate our approach by sharing a detailed example from one of our projects.